in GBP, GBP to USD, USD. While Brexit jitters and uncertainties limited market demand for the Pound (GBP) this week so far, the Pound Sterling to US Dollar (GBP/USD) exchange rate has still been able to advance. This has been due to a mixture of US Dollar (USD) weakness, as well as stronger UK data. Due to Brexit uncertainties and strong US growth data, GBP/USD edged lower last week after failing to sustain any of the Pound’s mid-week gains. The pair closed the week at the level of 1.3038. This week so far though, the US Dollar has been weaker, making it easier for GBP/USD to edge higher. GBP/USD briefly touched on a high of 1.3105 yesterday and at the time of writing was trending closer to the level of 1.3075. For now, investors are looking ahead to the major Brexit news and US inflation data that is expected today. If today’s news is surprising, it has the potential to hugely influence the Pound to US Dollar exchange rate outlook. Despite some decent UK data in recent sessions, demand for the Pound has been limited this week so far amid uncertainties over how the Brexit process will unfold. Formally, Britain is set to leave the EU on Friday – but no Brexit deal has been agreed yet, meaning the default outcome is a worst-case scenario no-deal outcome. However, the lingering possibility of a no-deal Brexit is keeping pressure on Sterling, and even a delay would mean more mid to long-term uncertainty for Britain. This is keeping investors from buying the Pound much ahead of today’s EU summit, when the UK and EU will attempt to agree on a Brexit delay. As a result, the Pound has been unable to benefit from this morning’s stronger than expected UK growth data. The stronger growth was partially caused by Brexit stockpiling according to the report, so the growth outlook remains uncertain. At the end of last week, the US Dollar found fresh support in a stronger than expected US Non-Farm Payroll report. The data bolstered hopes for a more optimistic Federal Reserve, as more new US jobs were created in March than expected. However, the report came amid other mixed US ecostats, indicating that the US economy may be being negatively impacted by slowing global growth. As other US data is mixed and global growth concerns persist, the US Dollar’s demand is limited. Investors have been selling the US currency from its best levels since the end of last week, and due to a combination of risk-sentiment and anticipation for upcoming US news the currency has remained unappealing. US-China trade hopes and stronger oil commodity prices have made investors more willing to take risks, while signs of slowing global growth mean even investors seeking safe havens are preferring the Japanese Yen (JPY) to the US Dollar. The Pound to US Dollar (GBP/USD) exchange rate is seeing mixed movement this morning as investors anticipate the high possibility of major market-shaking news later in the day. 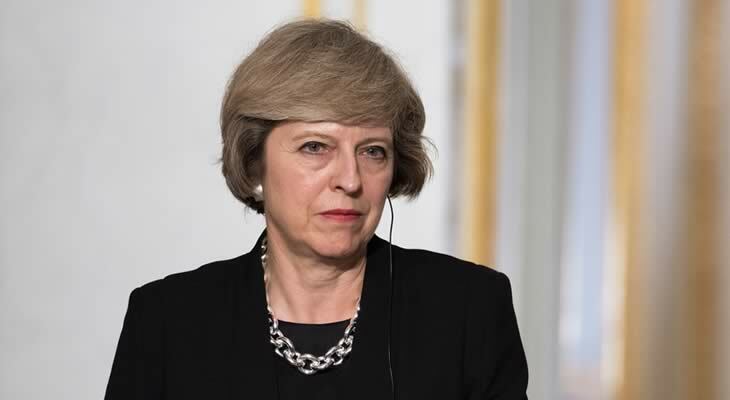 UK Prime Minister Theresa May will be attending an EU summit in hopes to secure a fresh delay for the Brexit process and to prevent a no-deal Brexit. If the EU grants Britain a longer delay until around the end of the year, as is expected, the Pound’s movement may not change much but the relief of avoiding a no-deal Brexit will make it easier for Sterling to climb going forward. In the unlikely event that no delay is agreed though, the Pound will plummet as it will mean a no-deal Brexit becomes the most likely outcome on Friday. US Dollar investors are anticipating this afternoon’s US inflation rate results, which are expected to have improved slightly. If these fall short of forecasts, hopes of a more optimistic Federal Reserve will lighten and the US Dollar outlook will weaken. The Federal Reserve’s latest meeting minutes will be published this evening too, which could further influence the Pound to US Dollar (GBP/USD) exchange rate outlook if the bank’s tone surprises investors. Previous ArticleIts Brexit Judgement Day, But What Will Happen to the Pound Euro Exchange Rate?